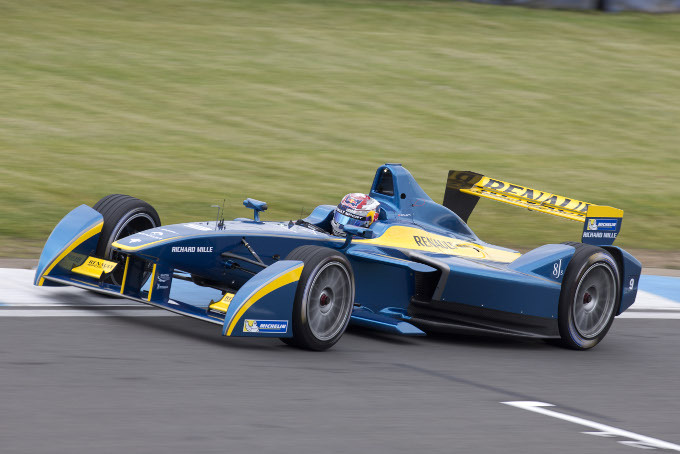 Formula E: can all-electric help save motor sport? 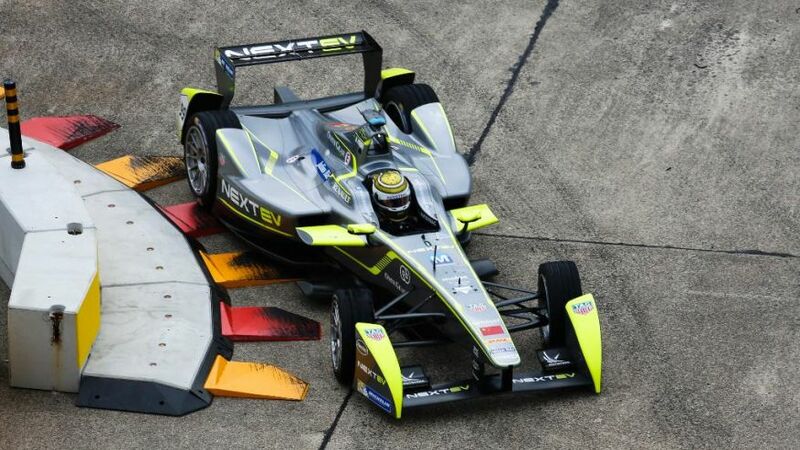 The all-electric Formula E series has divided opinion amongst race fans. As pre-season testing for the 2015/16 season continues, we examine how electric racing could help motor sport defend itself against the many threats to its future. Motor sport enthusiasts’ love the noise of racing but an increasing proportion of society does not. More worryingly still, they are becoming more vocal and active about it. Clampdowns regarding noise pollution from race-tracks is a growing problem, particularly in European Union countries. A number of circuits in the UK are facing the wrath of local communities. Despite the fact many of the circuits have been in situ for decades, those living near tracks are ramping up their efforts to restrict their usage. Increasingly restrictive noise limits – where only vehicles below a specific decibel rating are allowed – are crippling these circuits. Stricter limits mean fewer categories of racing can use a circuit, fewer race weekends can be held and ultimately less income flows to the circuit. This is not just a few grumpy ‘not in my back yard’ neighbours, some tracks will close down as a direct result. Purists would prefer gas-guzzling, exhaust howling machines but when faced with the prospect of no racing at all, electric is a better solution. The lower noise ratings that come with all-electric power could be a lifeline to circuits facing further restrictions. Integrating electric racing in to the schedule could afford these tracks the chance to continue operating and appease the anger of local residents at the same time. At both a macro level and at the micro, circuit level the environmental agenda is not going anywhere but further up the political priority list. Motor sport in all its forms will come under more scrutiny and pressure in the future. Were this not true, Formula 1 would not have adopted hybrid power units in 2014. Like it or not, motor sport will need to work harder on its green credentials. Hybrids are a great solution for the highest echelons of the sport but at a national and regional level, electric is a far more realistic option. As with the growing pressure on noise pollution, air pollution around circuits is likely to become the next target of the ‘not in my back yard’ brigade. Promoting and encouraging electric racing up and down the motor sports ladder is a viable alternative. Zero emissions racing is the best defence against criticism and direct action to curb motor sport at both the macro and micro levels. Yes it will lack that heady aroma of burning fuel but once again, against the prospect of no racing at all, it is a more appealing solution. For motor sport enthusiasts the thought that younger generations are showing less and less interest in our sport is baffling. That however does not stop it from being true. The current generation of youth – termed ‘millennials’– care not for the speed, smell, pollution and ‘outdated’ technology of most motor sport. Social justice (environment, noise pollution), technology and engagement via digital platforms are of more interest. Does any of that sound like traditional motor sport? Sadly not, but all-electric racing provides some alternatives. More environmentally sensitive than traditional forms of racing, Formula E is showcasing technology that could offer real solutions to ecological issues. Their ‘fan boost’ concept and use of social media has given spectators more engagement in the sport than any other form of motor sport has. For the future of the sport in general – despite what the likes of Bernie Ecclestone think – new fans are essential. Adjusting to the changing needs and wants of customers is something motor sport is going to have to do. It will take time for the technology and opportunities to trickle down from Formula E to national and regional racing levels. The technology needs to advance, battery life and cost will need to improve in order for the concept to work for amateur weekend racers and for companies to start building alternative race cars. Circuits under pressure on noise and air pollution cannot be saved by simply applying to host a round of the Formula E championship. They need viable national and regional all-electric championships. But without support for the top-level series that trickle down will never occur. All-electric racing is not the only future for motor sport – there still needs to be a place for the internal combustion engine – however without embracing it as part of the future, there might not be a future to look forward to.